Pet care business promotion is an ongoing process. 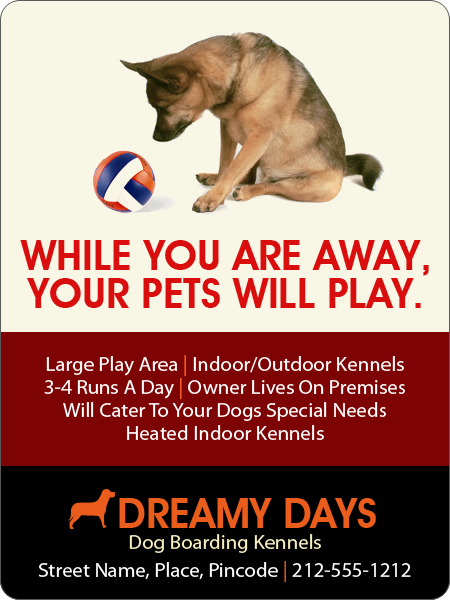 As customers relocate and more pet-care units spring up in your locality, staying ahead in the game is easier said than done! Referral bonus: Keep your clients happy as word of mouth publicity and referrals boost your brand exposure more than anything else. You can even use your logo imprinted custom magnets as referral bonus or discount coupons. Typically holiday seasons bring a surge in pet boarding businesses through referrals. After all your clients will only be happy to refer your name and make a few quick bucks as bonus in the process. Vehicle signage: You can hand out custom logo magnets that are imprinted with your business message and contact details to your clients and every time they drive around flaunting these, your brand gets a wide display. Magnetic signage will attract instant attention at the traffic lights, car parking lots, at the shops or near the local pet stores. New pet owners will never miss these vital pieces of information that will ensure a healthy upbringing of their pet and will note down your number and name immediately. Diversify your services: Pet owners have different needs and to cater to more than one of these will help your brand in the long run. For instance a pet boarding unit can also consider offering grooming or pet taxi services to make it a one stop shop for all their pet needs. There are people who keep a variety of pets apart from dogs or cats. Birds, fishes, horses, reptiles and rabbits are some of the other pets that are favored by people and by diversifying your activities you can reinforce your brand easily. Promotional gifts: Customers rate pet service providers by the quality of service, promotional gifts and their brand popularity. Research studies have shown that doling out useful and value added promotional gifts like logo magnets will make the recipients more loyal to your brand. Pet boarding centers can enhance their brand visibility by handing out these custom pet boarding magnet promotional gifts. Attractively colored and light weight, these work well as appreciation gifts, party favors or promotional gifts. If you want to promote any pet care business like veterinary clinics, pet supplies, pet care services or pet care helpline, these can be effectively used. The low sticker price and bulk purchase discounts will pull down the price factor further down to make your promotional budget friendly. 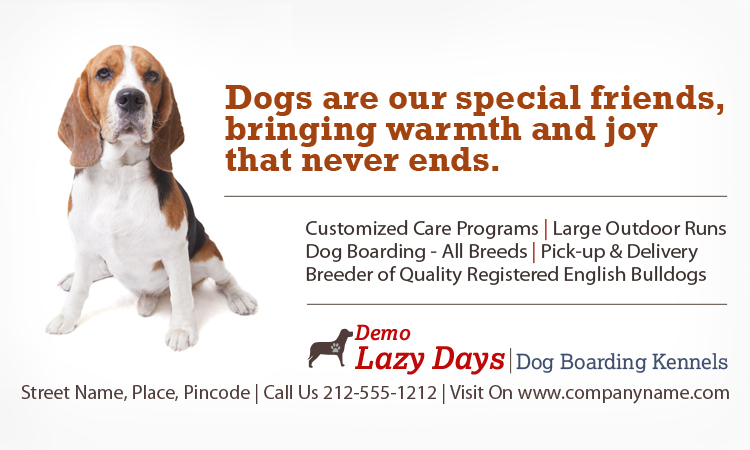 Constant exposure is what reinforces any brand and these custom magnets that can be stuck on refrigerator doors or any other metal surface at their homes or workplaces will make your pets service business name familiar to them in no time.